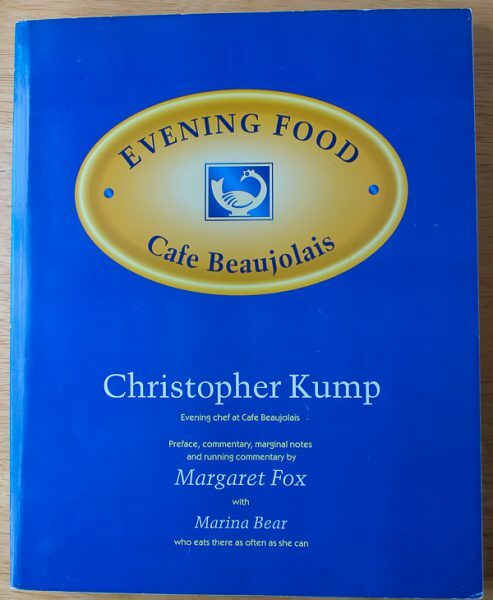 I was thrilled to find this cookbook by Christopher Kump, especially since the evening food referred to was served at Cafe Beaujolais, the celebrated but now-closed restaurant in Mendocino, California. Not only that, Kump is the husband of the great Margaret Fox, founder and owner of the restaurant. 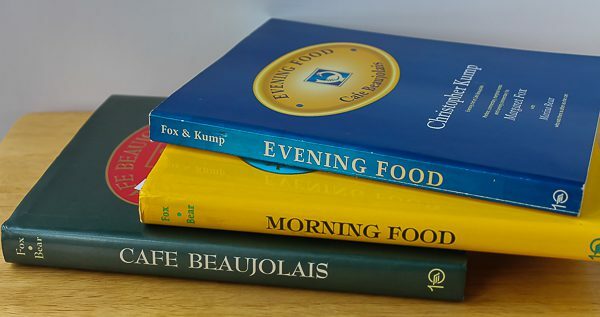 Now I have all three of the Cafe Beaujolais books. If there are more, I hope someone will tell me! I love these books. Since today is Thanksgiving, I had to try the Chive Mashed Potatoes. 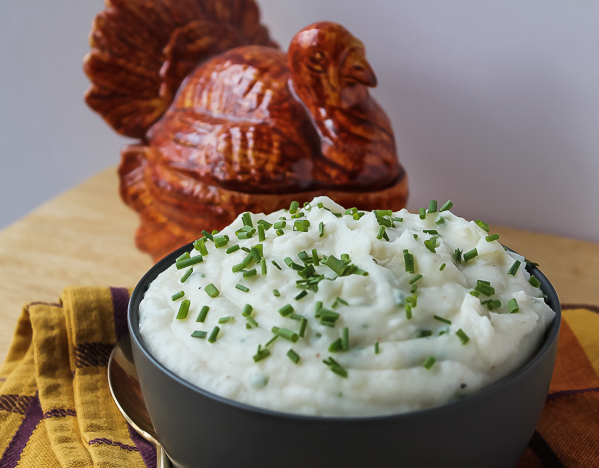 The potatoes are cooked, mashed, then made creamy and rich with the addition of half-and-half, butter, garlic, nutmeg, cayenne pepper, and chives. Perfect for a Thanksgiving table. Place potatoes in a 3-quart pot. Add the 1 Tablespoon salt and water and bring to a boil. Reduce heat and simmer, covered, until potatoes are very tender and almost falling apart. Drain potatoes, return to pan, and stir until they are dried out and liquid is gone. While potatoes are cooking, bring half-and-half, butter, garlic, remaining ½ teaspoon salt, nutmeg, and cayenne pepper to a simmer in a saucepan. 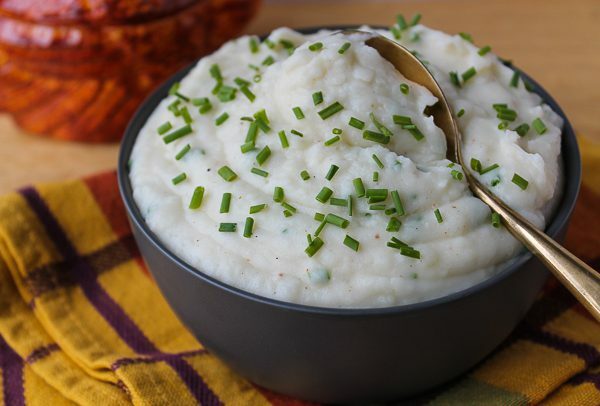 Mash potatoes using a ricer or hand-held masher, then slowly add the liquid mixture until potatoes are creamy, light, and fluffy. You will not use all of the liquid, but reserve what is left. If potatoes are made ahead of time and refrigerated, you may need more liquid when reheating. Adjust seasonings and stir in chives. Serve immediately. Serves 4. Happy Thanksgiving, everyone! Enjoy your day surrounded by those you love.